You may receive updates from Machinists Union, the sponsor of this letter campaign. U.S. Rep. Richard E. Neal (D-MA) introduced the Rehabilitation for Multiemployer Pensions Act of 2019 (H.R. 397), better known as the Butch Lewis Act. 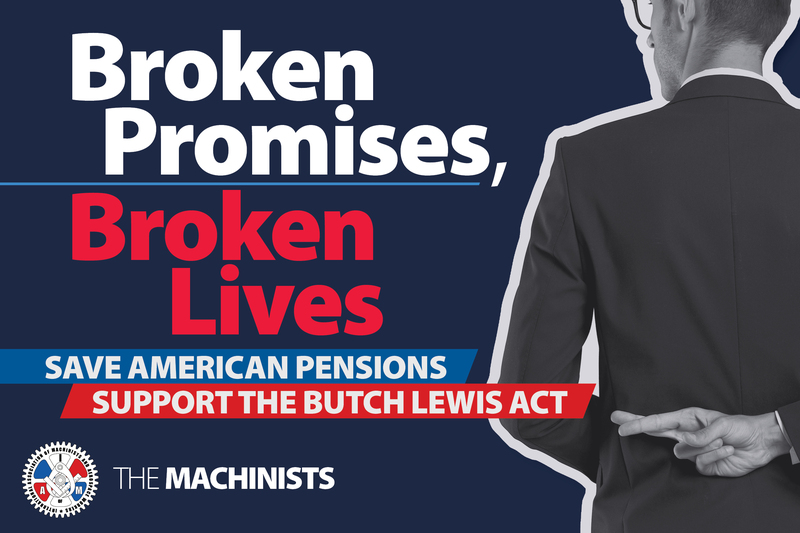 The Butch Lewis Act would offer federally subsidized loans to multiemployer plans in danger of becoming insolvent. It would also maintain the health of well-funded multiemployer plans and adequately fund the Pension Benefit Guaranty Corporation (PBGC) , without making any cuts to the earned benefits of current or future retirees. Plans would invest the money from these loans and use the investment earnings to pay retiree benefits and improve the plan’s financial health. Fill out the form on the right to be connected to your member of Congress. Urge them to co-sponsor the Rehabilitation for Multiemployer Pensions Act of 2019 (H.R. 397).